Cork City Centre is the only place to be this coming October. Urban October showcases how well designed and managed public spaces have a positive impact on people who live in, visit or work in the city. It also highlights the many groups who are working together to make our city a better place to live and work in. 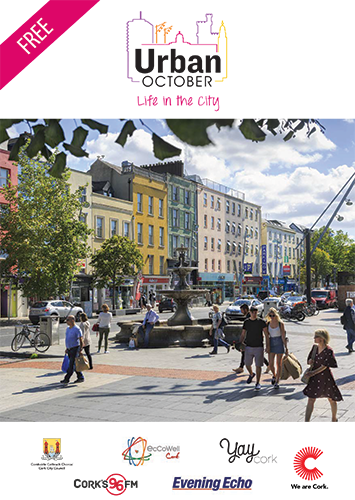 Some of the highlights of the month include: art exhibitions, food fairs and street music to guided walks, educational seminars and dance lessons, there truly is an experience to suit every taste this October in Cork City Centre. ‘Sample Our Street’ is back! This Friday 5.30pm in the Victorian Quarter. From 3pm – 7pm, Opera Lane will be handing out limited edition Opera Lane Keep Cups and with cup in hand you can claim your free tea or coffee courtesy of Starbucks Opera Lane. There are so many reasons to visit Cork city and your complimentary tea or coffee will keep your energy levels high as you explore the shops, discover the arts and music scene and enjoy the great atmosphere and night life activities. Offer valid on the day for any tall Filter, Americano, Latte, Cappuccino, Flat White or Hot Tea and while stocks of Keep Cups last. Stock limited to one per customer. The 2018 Guinness Cork Jazz Festival returns for the October Bank Holiday Weekend, Thursday 25th to Monday 29th October. An exciting line up of world class Jazz greats has been announced for the 2018 Guinness Cork Jazz Festival, regarded as one of Europe’s most thrilling Jazz events! 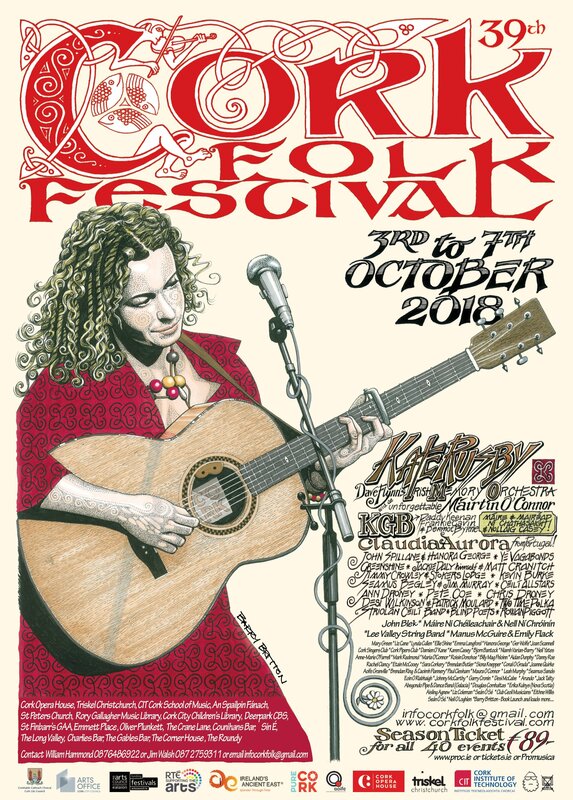 The Cork Folk Festival will run from 3 – 7 October. This 39 year old festival is emerging as one of the most important folk & traditional music events in Ireland. Performances take place in concert halls, music venues, in 30 bars and on the Streets. The event has a strong focus on local Cork City, Sliabh Luachra and Irish Traditional and folk musicians and singers, so prepare for plenty of polkas, slides and harrier ballads. Running from 3 – 7 October, you’re guaranteed to find something for everyone! 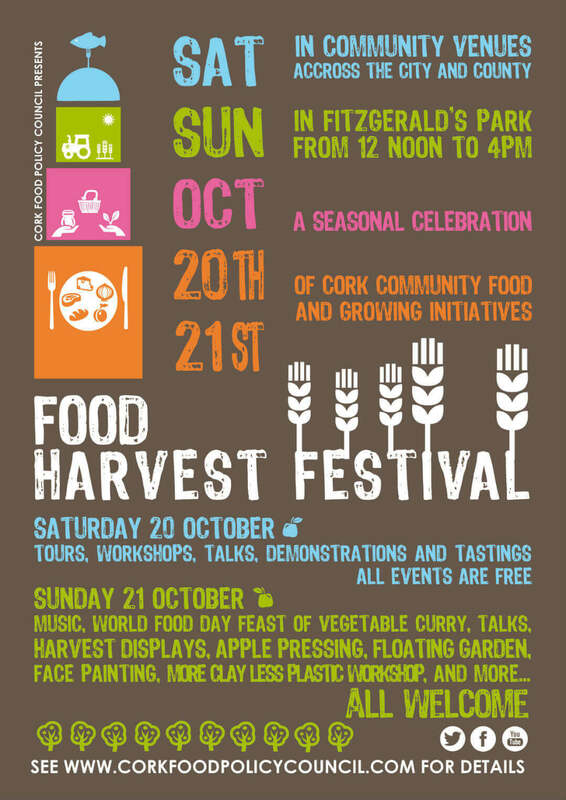 Cork Food Harvest Festival will return for October 20th and 21st. This festival celebrates the wealth of community food and growing initiatives across Cork with a host of free events, tours, workshops, talks, demonstrations and tastings around the city and county on the Saturday. On the Sunday, the groups will come together to share in a day of celebration in Fitzgerald’s Park. 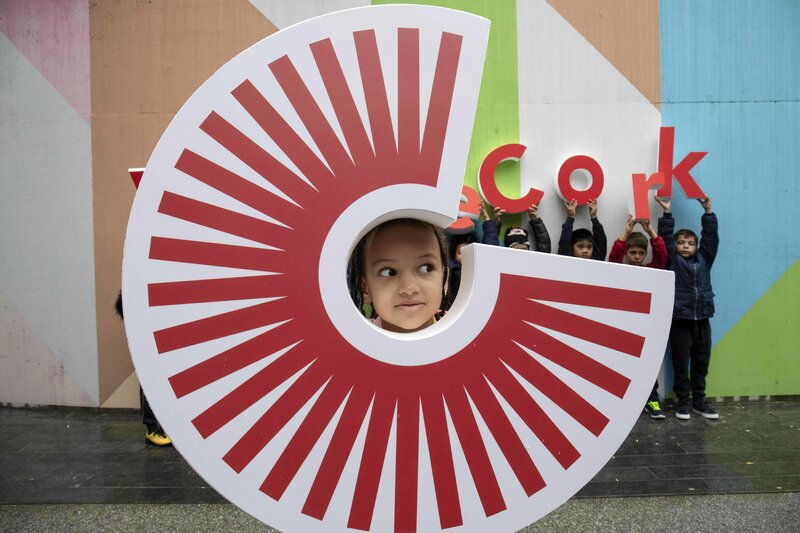 On 17 September the new Cork place brand was launched. The initiative aims to support Cork as it’s poised to become the fastest growing region in Ireland in the next 20 years. As part of the initiative, which is a first in Ireland, the region’s stakeholders including Cork City Council, Cork County Council, Cork Airport, Port of Cork, University College Cork, Cork Institute of Technology, Cork Chamber, Cork Business Association, Ibec, Enterprise Ireland, IDA, Failte Ireland and Visit Cork are backing the “We are Cork” brand. It will also be available for use by all businesses, organisations and interested parties in Cork. IndieCork champion independent productions from Cork, from Ireland and from across the world. Great films continue to be made, films that often don’t get to cinemas or to TV. This year’s festival will be running from 7-14 October. 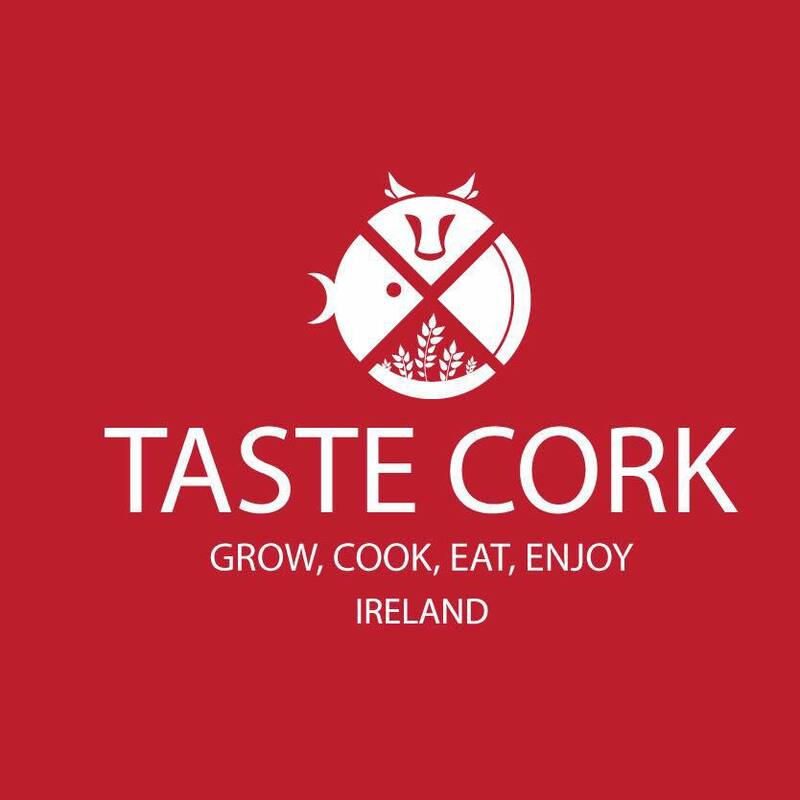 Taste Cork Week takes place from the 15 – 21 October 2018, celebrating Cork’s produce, history & flourishing food culture. Expect a true flavour of the Rebel county throughout the week, with tasting plates and pop-up dinners, cooking classes, lunch specials and beer pairing suppers. 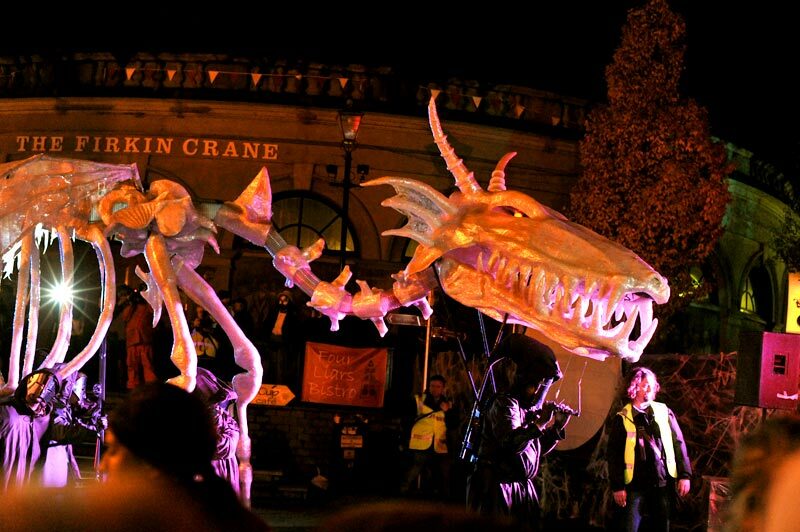 Each year thousands take to the streets of Shandon to walk with the dragon as it travels between worlds in a celebration of the living & the dead accompanied by an assortment of creatures from the underworld. Join in the fun on 31 October at 7pm.